It would be nice to be in a position of turning down top name strikers because they’re “not good enough with their feet”. The Sun say that’s why Barcelona are having doubt about making Luke Jovic their big name signing this summer. The Frankfurt forward has shown fearsome speed and strength running in behind opposition teams in the Bundesliga this season, but maybe doesn’t have the super elite level first touch you need to play alongside Leo Messi. That seems like it will open the door for their La Liga rivals Real Madrid, whom Marca claimed are now in pole position to tie down the former Benfica man. It would take quite something for him to become available to us, maybe even a year for our ban to expire, but if other sides are passing on the chance to sign him, we should be swooping in there as soon as we can. The chances of him being on the market next summer look small though. 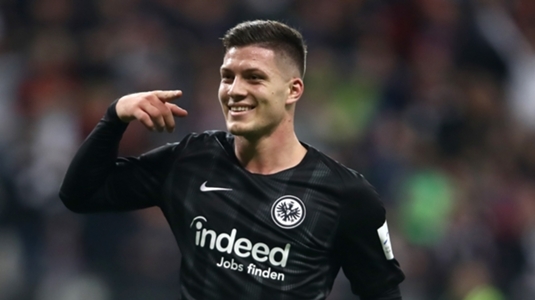 Top strikers don’t survive long on the market unless they are already at a big club, and Jovic looks like a rare chance to snap one up.